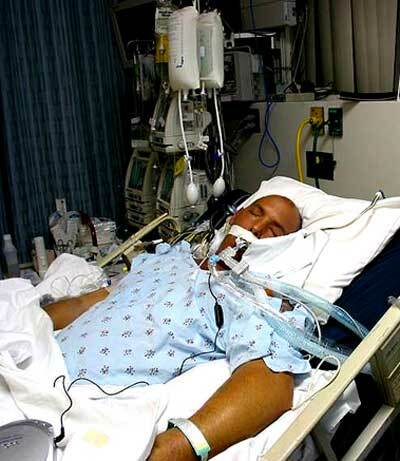 No, this isn't a photo of me in the ICU - but it could well have been. Many friends have told me they visited me in the ICU while I was comatose. What they saw was an unconscious man on life support, with tubes coming out of nearly every orifice. My kidneys had failed and I was hooked up to a dialysis machine. I was breathing through a ventilator. It wasn't an optimistic sight, they said. An old friend, John, told me he prayed for a sign - any sign - of life when he was looking at my inert form at the ICU. And to his relief he saw one of my eyebrows twitch, as if I was trying to wink at him. When I awoke, I wasn't merely conscious - I was fully conscious. Now, that's a wonderful state to be in - but it's recommended that you experience it in a "safe" environment where nobody will get alarmed and think you're a madman. In the 3D Matrix the majority of people are semi-conscious ego-driven automatons subject to unrelenting anxiety and stress. This causes a collective insanity, some symptoms of which are perpetual warfare, religious inquisitions, and a fanatical belief in rules and regulations. Anybody who miraculously gets cured of this insanity will, of course, appear dangerously lunatic to those still caught up in the 3D Matrix. In Russia, anyone who questioned the official ideology was deemed mentally unstable and consigned to the madhouse where their minds were subject to chemical lobotomy. A fully conscious being has a radiant bioenergetic field and influences everybody and everything around it within a radius of nearly 28 feet. 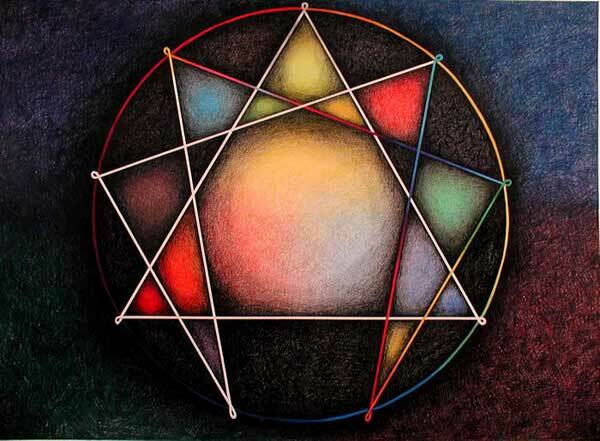 This counter-rotating bioenergetic field is called the Merkaba or Light Body and it manifests a very specific geometry, usually depicted in simplified form as two interlocking tetrahedra. 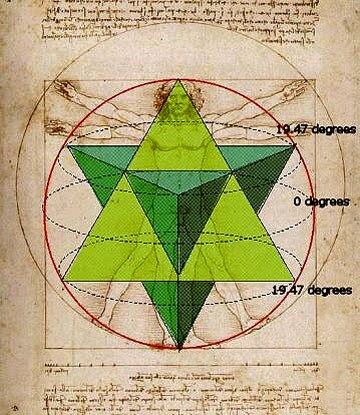 The activated Merkaba facilitates alignment of all dimensional realities so that one regains access to all levels of consciousness - from the sub-atomic to the transgalactic. 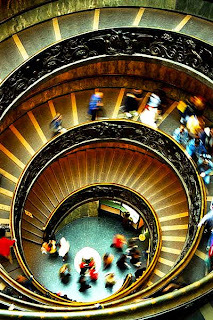 Navigating multidimensional hyper-reality requires a calm, gyroscopic center and access to one's genetic memories. It also requires an open, compassionate heart. Those who have completed a specific number of "solo flights" in their Merkabas can be said to have mastered their own destinies. It's not at all easy to describe multidimensional perception in linear language. 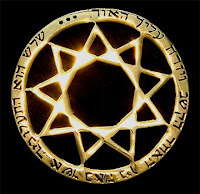 I was granted access to nine dimensions - and, of course, a ninth-dimensional perspective includes and encompasses the all the "lower" dimensions. From a 9D viewpoint activities on the 3D level appear flat, mechanical and utterly predictable. 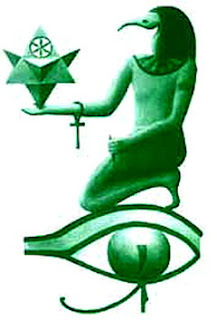 Everybody is lying in the 3D Matrix - because speaking truth is very dangerous in the 3D Matrix. Those trapped in 3D habitually lie even to themselves. This is why we call it the Distortion Field. 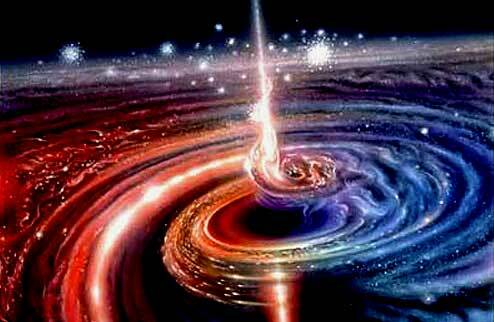 Every divine revelation that manages to penetrate the density of the 3D Matrix is invariably subject to acute refraction, resulting in massive loss of clarity and definition. "Seeing through a glass darkly" aptly describes how perception works in the 3D. 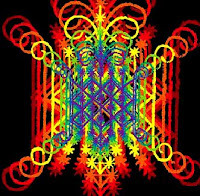 Little wonder that all spiritual teachings that somehow reach those in the 3D Matrix arrive in grotesquely distorted form and result in further confusion and misunderstanding. That's the bad news. The good news is that all this is rapidly changing. 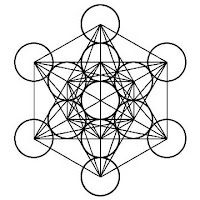 There is at this moment sufficient interpenetration of dimensional realities locked into alignment by those who have broken free of the 3D Matrix to allow for vastly enhanced transmission of data throughout the fields of consciousness. 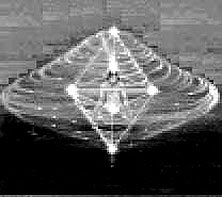 In parallel with advances in digital technology, the information emanating from the "higher" frequency zones can be said to be significantly more accurate and comprehensive - and it is currently being received by physically incarnate mutant humans with far more refined and sensitive receptor networks. Look at the massive outpouring of essential information now emerging in books and on the web. Twenty years ago it wouldn't have been possible. The ones who are channeling this data from different dimensions are doing so with enormously greater efficiency and at increasingly higher levels of lucidity. 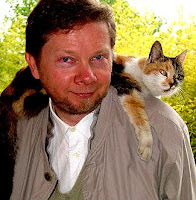 Take Eckhart Tolle (left) for example. This gnomish and good-humored latter-day Buddha has managed to get himself on the Oprah Winfrey show and is teaching millions how to get beyond the limited ego and into the limitlessness of pure consciousness (or the Zen mind). That's certainly a breakthrough. Previously, it would have taken the efforts of a thousand Tibetan lamas over a hundred generations to awaken so many to their own Buddha potential. Today, this charming, clear-headed guy with a gift for putting complex ideas into very simple language can do it just by giving a lecture, taping it, and uploading it on YouTube. I highly recommend plugging into Eckhart Tolle, if you haven't already done so. It would require too much space, time and energy to delve further into the subject of multidimensionality - although more data might emerge in a future blogpost when I'm inspired to share. For now, I just want to say a great big thank you to all my readers and my friends and family for the tremendous love you showered on me during those two weeks in December 2009. I do believe I couldn't have made it through without your help! Yet none of us is to be blamed. We didn't really understand what was going on till very recently, when the gory details began to be circulated on the Internet. That's no more than a decade or so ago. Now we can see very clearly that a bunch of outright criminals have hijacked not only our nation - but the entire planet! We certainly aren't going to let them get away with it - but it's perhaps wiser and more effective to shift the focus towards clearing and cleansing our own emotional circuitry and upgrading our Operating Systems - so that our perspective becomes even more expanded and our understanding grows deeper and more grounded in compassion. I see no value in getting possessed with hatred, fear and paranoia. We don't want to become what we hate. Each of us can become so much more than what we were ten years ago. We can make a quantum jump in consciousness and reclaim our sovereign power and freedom from countless generations of systematic robotization, designed to enslave and exploit us for the benefit of a mere handful of puppetmasters. This we can and must do - and so long as I consider myself a blogger and a human being, I shall endeavor to help you in any way I can. So be it. The sage has spoken and with such wisdom too after going through testing of fire. I agree with you that life is more than precious than reeling in hatred, fear and paranoia over the most ridiculous issues spawned by idiots! Thanks for this uplifting post, dearest Antares. Take care and please continue to fill our hearts with a vision of what is real and what really matters! "I see no value in getting possessed with hatred, fear and paranoia." "We don't want to become what we hate." great to see your posts again, Antares! there's not many folks out there as positive as you, and its a blessing that you are still writing and forging on in this Distortion Field. may we all ascend to greater heights and friendlier times. welcome back! I like what I read in this post. More like the language I understand. Politics is dealing merely with the effects, not the source..do the Tolle way..or Greg Braden's, let's create a movement to change the world through consciousness..:). Will keep reading. Glad that you are much better.